An advanced linear motion system is behind the performance of Singer Instruments' innovative biotech laboratory robot for pinning arrays of cells - the RoToR. This benchtop automation is changing genetic, genome and cancer research by being able to manipulate over 200,000 yeast or bacteria cell samples per hour. This unprecedented speed - up to an order of magnitude faster than previous lab automation - is changing the way that many biotech labs work. One of Singer's robots often now typically services several laboratories, with users just booking short time slots on it for replicating, mating, re-arraying or backing up yeast or bacteria libraries. RoToR is managed by a compact real-time controller from Baldor called NextMove ESB-2. This module controls the three axes of motion that perform RoToR's point-to-point pinning action, as well as a sample handling axis, interfacing to the machine's Windows-based graphical user interface, and all the I/O channels required. A ground-breaking antibiotic therapy is the first potential drug treatment to provide irritable bowel syndrome patients with long-lasting relief of their symptoms even after they stop taking the medication, according to a study published in the Jan. 6 issue of the New England Journal of Medicine. Unlike other traditional therapies for Irritable Bowel Syndrome, patients in these large studies reported relief of their symptoms for up to 10 weeks after completing treatment with rifaximin, says William D Chey, MD, professor in the Department of Internal Medicine at the University of Michigan. Rifaximin is a minimally absorbed antibiotic that stays in the gut. Specifically, patients reported improvement in overall IBS symptoms, relief from bloating, less abdominal pain and improved stool consistency for up to 10 weeks, says Chey, one of the researchers on the study and director of the Michigan Bowel Control Program. Labtronics Inc, a leader in laboratory automation, has released Nexxis iLAB Database Viewer, a new tool that integrates and simplifies the reporting of data for all lab databases from one central location. The new Nexxis iLAB Database Viewer provides a central location to access data from all of the databases inside and outside of the lab. After retrieving the data, you are able to filter and sort that data to help you gain maximum value from the data. The organized data can then be exported to LimsLink, Nexxis ELN or Excel for further processing and reporting. The first poster entitled "Recombinant human albumin: A multifunctional excipient for stable therapeutic protein formulations" demonstrates the unmatched ability of recombinant albumin to protect therapeutic proteins against chemical and physical degradation. The second, entitled "Optimizing Saccharomyces cerevisiae for the rapid development of animal-free biopharmaceutical manufacturing processes", provides insight into the benefits of the yeast strain in the production of recombinant proteins. The two posters offer protein scientists new insight into formulation and manufacturing and highlight how recombinant albumin can help optimize current processes. The latest innovative solutions are described, which help to overcome some of the main challenges associated with the manufacture of protein therapeutics and biologics formulation development. "Novozymes is delighted to present this information on the company's latest developments in recombinant albumin", said Dermot Pearson, marketing director at Novozymes Biopharma. "As one of the industry leaders, we believe that our studies significantly contribute to the development of the field and welcome the opportunity to share our advances with industry experts who can also benefit from the leading edge data." Gyros AB, a leader in utilization of microfluidic technologies to miniaturize and automate immunoassays, announced today that Cygnus Technologies Inc and Radix Biosolutions have launched kits specifically designed for compatibility with the company’s immunoassay platform. The kits are intended to save time and labor during biotherapeutic development and production. Cygnus Technologies provides specialized analytical products to the pharmaceutical and biotechnology industry for testing biologics and their impurities during process development and quality control. The two new Cygnus kits have been developed to test for impurities, namely Host Cell Proteins from CHO and E. coli. Cell Medica, a leading cellular therapeutics company which develops, manufactures and markets cellular immunotherapy products for the treatment of infectious disease and cancer, has announced an exclusive license agreement and research collaboration with the Center for Cell and Gene Therapy (CAGT), Baylor College of Medicine (Houston, Texas), for the commercialization of an innovative cell-based treatment for cancers associated with the oncogenic Epstein Barr virus (EBV). Financial terms were not disclosed. Cell Medica’s expertise and experience in the development and manufacturing of cellular immunotherapy products in combination with the CAGT’s leading position in the research and development of cell therapies targeting EBV-related disease will accelerate the development of this potentially curative treatment for EBV-associated lymphoma and nasopharyngeal carcinoma (NPC). Cell Medica has already introduced its first cell therapy product in the UK which is based on antigen-specific T cells and is pioneering the manufacturing strategy for high volume production of patient-specific cell therapies. Généthon, the not-for-profit biotherapy laboratory funded by the French Muscular Dystrophy Association (AFM) thanks to the donations collected during the French Telethon, and Children's Hospital Boston announce that they have initiated a partnership to conduct a gene therapy clinical trial for Wiskott-Aldrich Syndrome (WAS). This rare genetic condition is a life-threatening immunodeficiency disease. Genethon is sponsoring parallel trials at Great Ormond Street Hospital in London and Hopital Necker-Enfants Malades in Paris and will be supplying the vector for the trial at the US site. The vector is a latest-generation lentiviral vector that incorporates several safety features designed to avoid the complications caused by early-generation vectors. The vector is manufactured by Genethon in Evry. Altogether, the WAS gene therapy trials in London, Paris and Boston will constitute a unique multicentre collaboration to accelerate the testing of new advanced therapies for rare conditions. The Wiskott Aldrich Syndrome (WAS) is a rare primary immune deficiency disease causing significant bleeding due to low platelets and increased numbers of serious infections. Most patients have mild to severe eczema and are also at a higher risk of developing autoimmune disorders and malignancies such as lymphoma. ERT, a global provider of technology and services to the pharmaceutical, biotechnology and medical device industries, announced that its eC-SSRS (Electronic Columbia Suicide Severity Rating Scale) solution facilitates compliance with the newly introduced Food and Drug Administration (FDA) guidance document entitled "Suicidality: Prospective Assessment of Occurrence in Clinical Trials." A copy of this guidance can be downloaded from www.ert.com. The recently released FDA guidance document is intended to assist sponsors in assessing the occurrence of treatment-related suicidality in clinical trials or drug and biological products. The guidance highlights the increasingly recognized importance of suicidality assessment in psychiatric and non-psychiatric drug trials and provides general principles for how best to achieve effective assessment during the drug development process. The document highlights the Columbia Suicide Severity Rating Scale (C-SSRS), which comprises a detailed interview as an approved assessment instrument. The guidance intends to serve as a focus for continued discussions among the FDA, pharmaceutical sponsors, the academic community and the public. ERT's eC-SSRS is an electronic self-rated version of the C-SSRS, which was developed in collaboration with the scale authors and provides a cost-effective method of proactively monitoring suicidality for trial sponsors. The solution was designed in anticipation of the FDA recommendations outlined in the newly released guidance document. Using interactive voice-response technology validated against the C-SSRS, the eC-SSRS is a fully structured interview providing standardized questions, relevant follow-up questions, error-handling routines and scoring conventions. Helping to facilitate the FDA requirements, the eC-SSRS solution enables timely identification of possible risks and supplies rapid feedback to study sites for evaluation and follow-up. 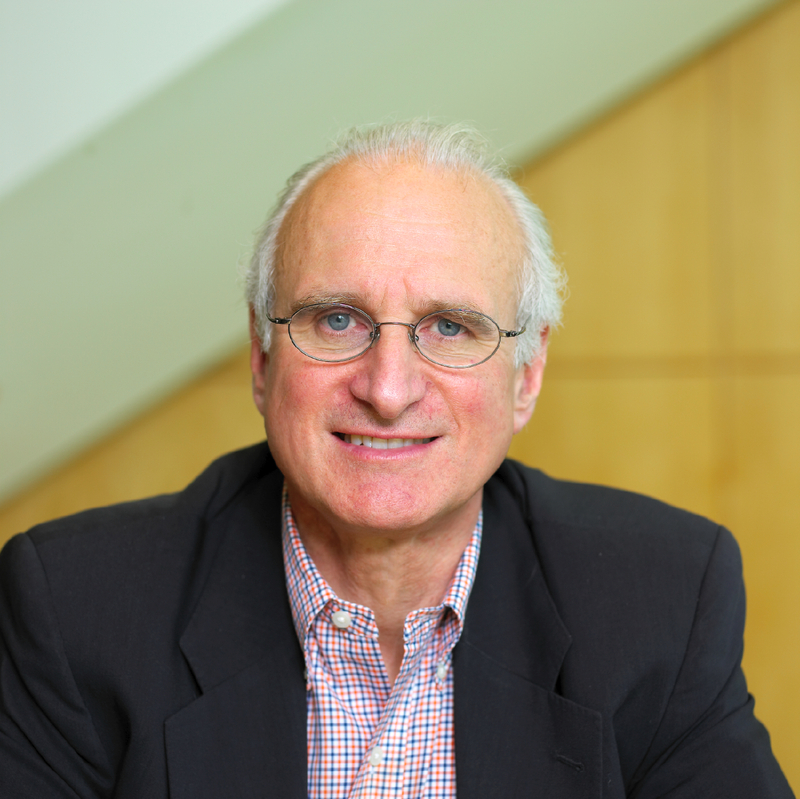 Michael Federico, Vice President, ePRO, comments: "The release of the FDA document highlights the growing focus on treatment-related suicidality and the need to develop an accurate and effective method for use in clinical trials to enhance effective patient-safety monitoring. Bearing in mind the concerns regarding the burdens placed on investigators, ERT has created the eC-SSRS, a validated representation of the interview version C-SSRS, which facilitates the ability to reliably and reproducibly assess suicidality and comply with FDA guidance." Wyatt Technology Corporation, a leader in absolute macromolecular characterization instrumentation and software, has announced that its instruments were used in a recent landmark study that transforms the previous scientific understanding of immunity to viral diseases like the common cold, 'winter vomiting' and gastroenteritis. The breakthrough research carried out by the United Kingdom's Medical Research Council Laboratory of Molecular Biology (MRC LMB) demonstrates the ability of tripartite motif-containing 21 (TRIM21) to neutralize viral infection. Wyatt Technology's Multi-Angle Light Scattering (MALS) detectors were used to monitor the interaction between TRIM21 and Immunoglobulin G (IgG). Viruses such as the common cold, AIDS and some forms of cancer are among the hardest diseases to treat and are adept at avoiding recognition by changing their molecular patterns. Antibodies were originally thought to only offer extracellular protection and were helpless against the virus once it had entered the cytosol of a cell. However, the new study published by the MRC LMB shows that antibodies remain attached to viruses after cell infection and provide effective antiviral immunity. KINAXO Biotechnologies GmbH announced today that it has entered into a collaboration with AstraZeneca. Under the terms of the agreement, KINAXO will apply its technology platform to support one of AstraZeneca’s oncology programs. KINAXO will employ high-end mass spectrometry-based technologies to quantitatively analyze posttranslational protein modifications on a proteome-wide scale. Since protein modifications play pivotal roles in many cellular processes (eg cell death or DNA repair) such comprehensive analysis will gain valuable insights into cellular functions of potential drug targets. Financial details of the agreement were not disclosed. Transgene announced today that the company has signed an agreement with Beckman Coulter Inc, under which Beckman Coulter will develop for Transgene a companion test that measures the level of activated Natural Killer (“aNK”) cells in order to select patients to be treated with TG4010. The companion test will measure triple positive (CD16+, CD56+, CD69+ / CD45+ lymphocytes) activated NK cells (the “aNK Test”). It will come in addition to a test developed by Ventana Medical System, Inc. that allows Transgene to identify patients with MUC1 positive tumour cells (the “MUC1 Test”). TG4010, an MVA-MUC1-IL2 immunotherapy candidate, is about to enter into a pivotal Phase IIb/III clinical trial for the treatment of Non-Small Cell Lung Cancer (“NSCLC”). Findings from the last clinical trial in NSCLC showed that TG4010 was well tolerated and extended survival in a subset of patients with a normal level of aNK cells in the blood at baseline. Researchers have produced a calculator which gives the most accurate reading yet on the potential success of IVF treatment. 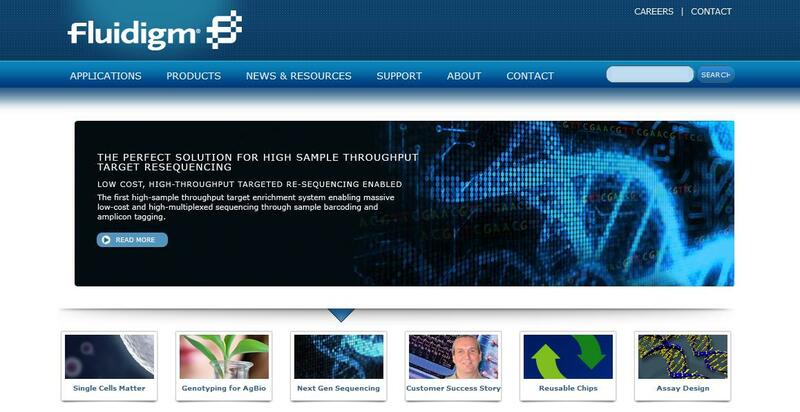 Fluidigm has launched a new comprehensively featured website (www.fluidigm.com) designed to offer a wide variety of useful information to life science organisations involved with gene expression, single cell research, SNP genotyping, target resequencing, NGS sample preparation and determination of copy number variation. Intuitively designed the website provides ready access to detailed technical information relating to Fluidigm's range of Integrated Fluidic Circuit (IFC) systems, chips, kits and assays. The visitor experience is further enriched through access to detailed information relating to the company's proprietary technologies, product video demonstrations, a large database of informative application notes, articles and posters, customer success stories and a 2011 program of events. Easy access is provided on site to Fluidigm technical support group as well as listing contact details for local support outlets in North America, Asia and Europe. The site also provides a company overview that details the series of technological innovations overthe last decade that have made Fluidigm a technological leader in life science research. Fluidigm develops, manufactures and markets proprietary Integrated Fluidic Circuit (IFC) systems that significantly improve productivity in life science research. 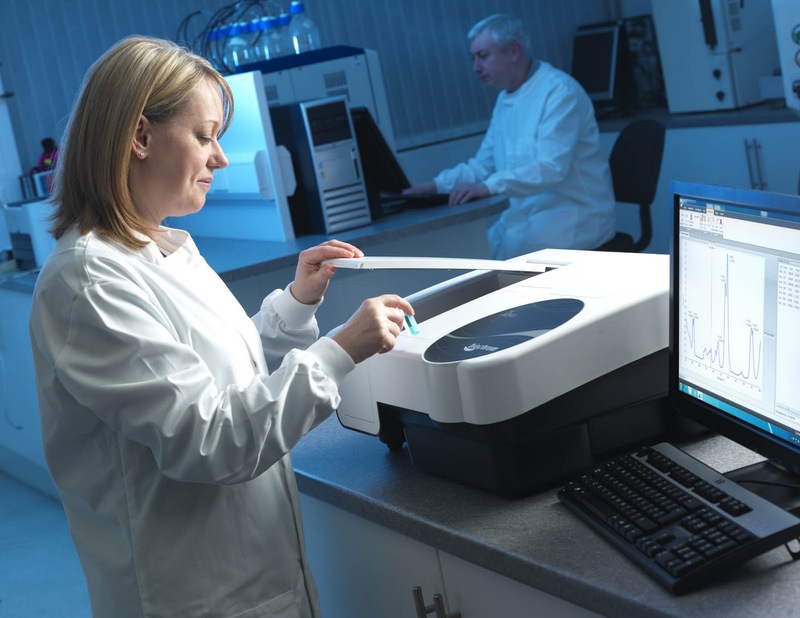 Fluidigm IFCs enable the simultaneous performance of thousands of sophisticated biochemical measurements in extremely minute volumes. These "integrated circuits for biology" are made possible by miniaturizing and integrating liquid handling components on a single microfluidic device. 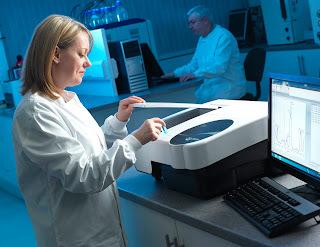 Fluidigm systems, consisting of instrumentation, software and chips, increase throughput, decrease costs and enhance sensitivity compared to conventional laboratory systems. AMSBIO is now able to offer a range of over 4,000 full length affinity purified human proteins expressed in HEK293 cells and derived using an extensive collection of human cDNA clones. 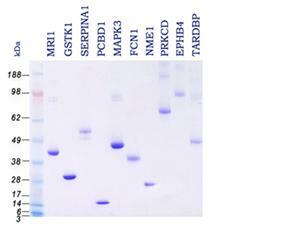 The new range is currently the broadest offering of human proteins produced in human cells. It has been prepared to ensure optimal preservation of protein structure, post-translational modifications and functions. All AMSBIO full length proteins come affinity purified and are guaranteed to be greater than 80% pure making them ideal for use as native antigens for optimized antibody production; positive controls in antibody assays; ELISA assay standards ; Protein-protein interaction experiments; in vitro biochemical assays; cell-based functional assays and SRM/MRM standards. All the human proteins in the new range are available in small trial size quantities and AMSBIO provides fast development of larger (mg) quantities. In addition to these standard products AMSBIO also offers a custom protein expression and purification service tailored to your specific needs, including protein domains, different expression tags and expression host. 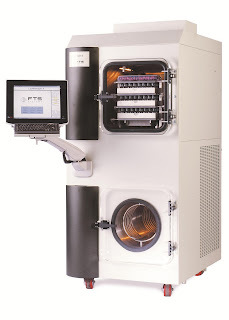 SP Scientific Inc has announced that it will exhibit its latest Virtis/FTS™ freeze-dryers and lyophilization systems at PEP TALK 2011 (San Diego, CA, USA). Visitors will be able to see the latest SP Scientific freeze-drying and lyophilization innovation for improving process control and minimizing issues of scale-up with the introduction of the LyoStar 3. Configured with the most innovative controls and instrumentation, including Smart Freeze-Dryer Technology and Praxair's ControLyo On Demand Nucleation Technology, the LyoStar 3 is the ultimate lab scale system for formulations studies, process optimization and scale-up work. The LyoStar 3 is a freeze-dryer that provides unmatched process accuracy, reliability and unique ease-of-use features. For applications ranging from process development for scale-up to product processing for stability studies to formulations work the LyoStar 3 delivers consistent results other freeze dryers cannot match. Uniquely available with ControLyo Nucleation On-demand Technology, the LyoStar 3 provides Protein Discovery Scientists with precise control over their freeze-drying processes. This breakthrough technology was developed to specifically control the freezing step of lyophilization. Until now, the freezing step of lyophilization was uncontrolled due to the random nature of the nucleation or crystal-forming process. Using ControLyo™ technology on the LyoStar 3 now makes nucleation control a reality by regulating the nucleation temperature to within 1°C of its freezing point. The results are improved product uniformity, quality and yield. The former Millipore executive, Dominique Baly, has assumed cross-divisional management of marketing, sales and service for the Sartorius laboratory business as President of Sartorius Group Laboratory Business. In this newly created position, he reports to the CEO and is a member of the Group Executive Committee. Sartorius Group highest-level management team is now composed of six individuals, including the Executives of both Sartorius AG and the subgroup Sartorius Stedim Biotech. AnaSpec has introduced the SensoLyte Green Elastase Assay Kit - the first FRET-based Elastase activity assay kit in the industry. This kit employs a natural substrate, elastin that is labelled with the 5-FAM fluorophore and the QXL 520 quencher. Proteolytic cleavage of labelled elastin separates the donor from the quencher and yields brightly green fluorescence, which can be continuously monitored at excitation/emission (Ex/Em) = 488 nm/520 nm. Increase in fluorescence intensity is directly proportional to elastase activity. The kit can be used to continuously measure the kinetics of elastase activity. As well, this highly sensitive kit is homogeneous – it does not require any separation steps. 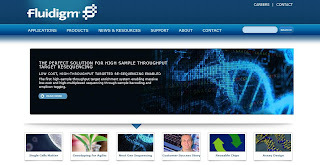 AnaSpec, Eurogentec Group also provides another green emitting elastase assay, the SensoLyte Rh110 Elastase Assay Kit. This assay uses a substrate that is labeled with a fluorogenic dye called Rh110 (rhodamine 110). Upon cleavage by elastase, the substrate generates free Rh110 fluorophore, which has a bright green fluorescence. Signal can be detected at Ex/Em =490/520 nm. The longer wavelength spectra and higher extinction coefficient of this kit and the SensoLyte Green Elastase kits provide greater sensitivity and less interference from other reaction components. 1.Kafienah, W. et al. Biochem J. 330, 897 (1998). 2.Carlo, L. et al. J. Biol. Chem. 255, 12006 (1980). 3.Mainardi, CL. et al. J. Biol. Chem. 255, 5435 (1980). 4.McDonald, JA. et al. J. Biol. Chem. 255, 8848 (1980). 5. Bieth, JG. J. Soc. Biol. 195, 173 (2001).